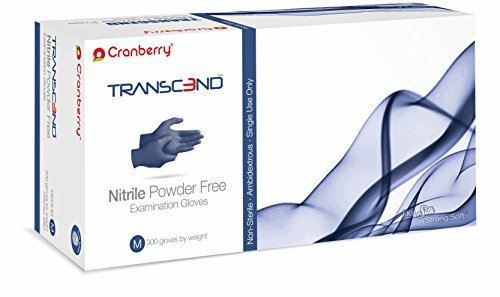 Cranberry transcend nitrile powder free gloves feature patented low Derma technology that eliminates sulfur-based chemical accelerators commonly found in nitrile gloves, reducing the potential of Type I & Type IV allergic reactions. Fingertip textured for exceptional grip in dry and wet conditions. The matte Blue color gloves are packed 300 pieces per dispenser box. If you have any questions about this product by Cranberry USA, contact us by completing and submitting the form below. If you are looking for a specif part number, please include it with your message.